To vomit or not to vomit? Our pets often eat the strangest things…but how do we know when emesis, or the induction of vomiting using medication, is the best course of action? If your pet has eaten something toxic that is non-corrosive, such as chocolate, snail bait or rat bait, it is important to get them to an emergency vet as soon as possible. Usually if the ingestion has occurred within a 2hr window, the toxin should still be in the stomach. By giving emetic drugs, we can make the pet vomit up the contents of the stomach, eradicating much of the risk of absorbing the toxin in the small intestine. If the pet is showing symptoms, then the toxin has passed the stomach and has been absorbed, meaning things are past the point of benefiting from emesis and that more intensive treatment is required. If the substance is corrosive, eg drain cleaner, much of the damage from exposure occurs before treatment can be started. Under no circumstances should emesis be attempted because of the risk of further corrosion to the sensitive lining of the oesophagus and stomach. If the pet has eaten an object without sharp edges such as a meat tray absorber, toys or socks, then emesis is indicated as these items pose a significant risk of bowel obstruction. 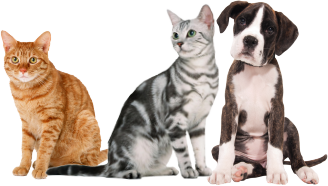 If the pet has eaten something sharp eg fish hooks, bones or sewing needles, making the pet vomit is likely to cause further injuries such as lacerations or perforation of the stomach or oesophagus. Imaging is used to locate the item, and endoscopy performed under anaesthetic to manually retrieve the item. If not removed, these items can cause serious perforation to the gastrointestinal tract.